Garrett Price and Edie Barnhardt channel Prince during their dance. Photo credit: Chad Mitchell. Feeling the groove during last year’s Dancing Under the Stars After Party. Photo credit: Chad Mitchell. Dancing for the Arts is a major fundraiser for the Cabarrus Arts Council. Local stars donate their time and learn a dance for the final gala event on November 11, 2017.
channel Prince during their dance. The Stars are picked through a special committee to participate and then spend the next several weeks rehearsing their dance routine. It is in the style of the vey popular Dancing with the Stars television show, and each celebrity is paired with a professional dancer. They all raise funds by gaining votes. The dance pairs will hone their skills away from the limelight, then come together to compete in a one night gala dance competition. Anyone can make a donation on behalf of their favorite 2017 Stars. The Star who raises the most money is the Grand Champion of the competition. There also will be an Audience Award and a Judges Award. In 2015, Mayor Scott Padgett brought down the house with his hip hop performance and in 2016, Ann Schrader and Bill Dusch battled onstage until the very last minute. Combined, these and all of the stars raised over $80,000 in the past two years for Cabarrus Arts Council programs. Who will be the Grand Champion this year? We wanted to learn more about this event that really does put the "fun" in "fundraising," so we reached out to the Cabarrus Arts Council's Public Relations Director Elisabeth Thornton to learn more. Tell us a little bit about Dancing for the Arts. When and how did it get started? 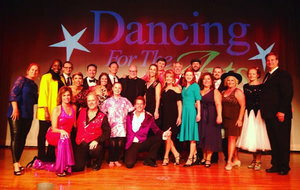 Dancing for the Arts began in 2015 and is the Cabarrus Arts Council’s local version of the popular television program Dancing with the Stars. It’s a gala event centered around a dance competition that features local celebrities and professional dancers. Each celebrity is paired with a professional, and they spend the next several weeks rehearsing their dance routine. Dance routines transcend through all genres of music, from pop to country to salsa to disco and more. Mayor Scott Padgett won the Grand Championship DFTA’s inaugural year for his hip hop performance! The evening begins with a fun step and repeat photo opportunity for partygoers, followed by a cocktail buffet. After the show, the night continues with an after party that includes more dancing and noshing! How successful has this fundraising event been in the past? Very successful. Last year the stars of DFTA helped raise $51,000! The money raised allows us to continue bringing great arts programs and events to the community. (L-R) Holly Sloop, Meredith Beregovski and Amanda Price feeling the groove during last year’s Dancing Under the Stars After Party. Photo credit: Chad Mitchell. How does it work? Can anyone contribute? Anyone can contribute, and they do so by casting votes for the stars. The easiest way to do this is online: www.cabarrusartscouncil.org/support/dancing-for-the-arts. Just click on the photo of the star you’d like to vote for, then fill in the amount. The star with the highest amount wins the championship. We also have two other ways for dancers to win: the People’s Choice Award. That’s determined by which star receives the highest decibel reading on our Audience Meter. We also have the Judges’ Award, which is decided by our judges: Cabarrus County Commissioner Steve Morris; District Court Judge Christy Wilhelm and husband of former DFTA Grand Champion Ann Schrader and retired NASCAR driver Ken Schrader. It’s been exciting this season so far, and some of our stars obviously have fans both near and far because we’ve seen donations come in from all across the country. People can also cast votes by calling the Cabarrus Arts Council (704) 920-ARTS or by stopping in during business hours, M-F, 9-5. 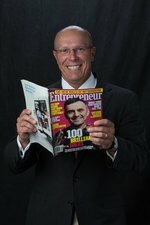 Can anyone attend the final event in November? Absolutely! Dancing for the Arts 2017 takes place November 11, from 6 pm to midnight, Tickets cost $125 and are on sale online, www.cabarrusartscouncil.org/support/dancing-for-the-arts. They may also be purchased through our box office, M-F, 10-4, at 704-920-2753 or 65 Union Street South, downtown Concord. Tickets tend to sell out rather quickly, so the sooner people purchase them, the better. Last year was my first time attending Dancing for the Arts. It was six hours of pure entertainment. Most of these celebrities have little or no dance experience, so to watch the level of skill they bring after weeks of rehearsals is impressive! It’s also a great evening to dress up, socialize with old and new friends and dance under the stars. Tickets sold quickly last year, and by the evening’s end I could see why – it’s a great time, but it also proves just how tightknit our community has become. To vote, head to the Cabarrus Arts Council website, or call 704-920-2787. Jessica Garmon took dance lessons from ages 5-18, and still loves to cut a rug when she’s not working her day job as an architectural, interior, exterior and landscape designer beside husband, James. 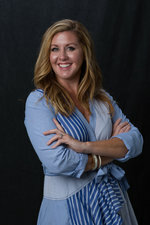 A resident of Historic Concord, you may know Jessica as the owner of the former Trashed Studios on Union Street. She’s also a graduate of Mt. Pleasant High School and UNC-Greensboro, a member of the Junior Charity League of Concord Alumni and has served on the Downtown Beautification Committee. 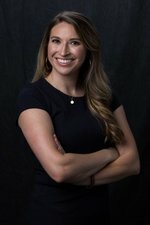 Jessica’s hobbies include reading, running, painting, traveling, camping, organizing things and spending family time with James and their two children, daughter, Avery, 12, and son, Deacon, 8. Jessica is dancing with Jason Cagle, a competitive shag dancer for 25 years. Joan Davis - Not many can say they’ve had lunch with the Dalai Lama and Margaret Thatcher, but Joan can! When she’s not hobnobbing with the famous, Joan prefers to tend to her flower garden, raising bouquets with plenty of variety. Her secret seed source: the clearance aisle of home improvement stores. Joan retired after a 43-year career as an educator, and taught every grade but kindergarten. She taught adult classes as well. 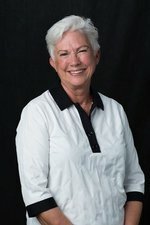 A tap and ballet dancer as a child, Joan is excited to slip on her dancing shoes once again for a twirl around the Davis Theatre stage during Dancing for the Arts 2017. Joan is dancing with Ryan Knight, owner of Positively Ballroom and a professional dancer and educator with more than 25 years’ experience. Jenn Delaney - Let’s get one thing straight from the get-go – Jenn can dance. Whether it’s tap, jazz, ballet, African dance or the killer Beyoncé choreography she picked up in NYC during Broadway Bodies’ classes, this lady can bust a move. When she’s not doing that Jenn is a Project Management Team Lead at MODE and Cofounder of Say Hey Concord; She’s an Art on Tap committee member, an Old Courthouse Theatre marketing committee member, a member of the CDDC’s Young Adult Advisory Board and a Residents of Historic Concord board member. 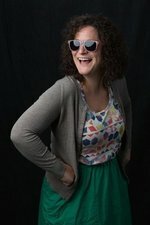 Jenn graduated from UNC-Greensboro with a BFA in Theatre Education and honed her craft at Upright Citizens Brigade Improv Theatre and Annoyance Theatre, both in NYC. Her hobbies include improv comedy, theatre, volleyball, basketball and karaoke. Jenn is dancing with Donni Brailsford, an instructor at Planet Ballroom. Mollie Clark Norris - No one needed to ask Mollie twice to become a star for Dancing for the Arts 2017. Mollie began dance lessons at age 4 and continued to dance throughout college. “I’ve missed dancing every day!” says the Concord native and Concord High School alumna. Newly wed to artist, Brock, when Mollie isn’t acting as Development Director for the 24 Foundation or serving as part of the Members of the Corporation for the Boys and Girls Club, she’s learning to play the fiddle and mandolin or spreading good cheer through her famous homemade eggnog, which takes 72 hours to make and is sought-after by friends and strangers alike for its magical properties. Mollie’s motto: Helping families make holidays more tolerable, one cup at a time. Mollie is dancing with Todd Liddell, owner of Planet Ballroom in Afton Village and co-owner of Planet Ballroom in Matthews. Kim McMurray - While a young girl growing up in Florida, Kim won her 3rd grade smiling contest and hasn’t stopped since. A yogi master for 15 years who has logged 500 hours in the Tree, Mountain and Eagle poses, Kim says she has no real dance experience, but can Chaturanga for days, and still do a split. Becoming a Dancing for the Arts contestant has been on her bucket list for the last two years, along with bicycling across the Golden Gate Bridge and zip lining. Kim is a CrossFit Master and North Carolina CrossFit State Champion for her age group. 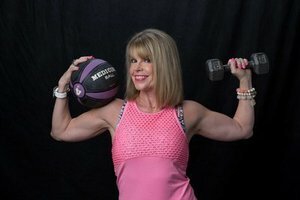 When she’s not teaching yoga, you can find her paddle boarding on Lake Norman or spending time with her husband of 35 years, Mitch, and their grown children, Megan and Blake. Kim is dancing with Andy Kluttz, an assistant dance instructor at Positively Ballroom. Bryan Hunt is a freestyle dance child of the ‘80s with little flexibility, but he can embarrass his children with a wicked robot dance. Bryan and his romantic interest, Anna, have volunteered for several local charities and organizations, including the Charlotte Cystic Fibrosis Foundation, the NorthEast Foundation, the Cabarrus Community Free Clinic and the American Youth Soccer Organization of Charlotte. A managing director at Wells Fargo Securities, Bryan has been recognized by Institutional Investor magazine every year since 2006 as one of the top-ranked high yield analysts researching the food and beverage industry, including achieving a number one ranking the last five years. Married to Anna for 21 years, together they have three sons, ages 26, 21 and 15. Bryan enjoys travel, cycling, the outdoors and a good wine tasting. Bryan is dancing with Glenna Wilson, owner of Dance Dreams Studio. 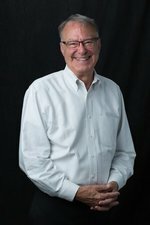 Joe Hunter is a retired Wachovia Trust Banker who now enjoys his life sans work through gardening, early morning walks along the beach and searching out good wine to share with his friends. “It takes a great deal of research to taste it all,” says Joe. He is a member of All Saints’ Episcopal Church, a member and past president of the Concord Rotary Club, past president and board member of Habitat for Humanity of Cabarrus County, early participant in The Academic Learning Center in Concord and a current trustee of Wingate University. Joe admits his dance experience is limited (“Very,” he interjects), but he’s willing to trip the light fantastic for the Cabarrus Arts Council. 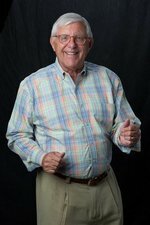 Joe is dancing with Susan Jenio, a former competitive dancer and past instructor with the Fred Astaire Dance Studio in Pineville. Steve Steinbacher likes to use the word zilch when describing his dance history, although there was that ballet class he took during a summer session at college, and plenty of time on the dance floor during parties and weddings. He believes Dancing for the Arts 2017 may be the first time he will ever dance sober in his life. 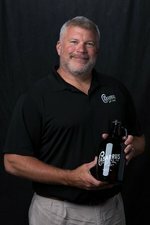 What Steve does know really well, as principal and managing member of the popular Cabarrus Brewing Company in Concord, is beer. Originally from Philadelphia, Steve graduated from UNC-Chapel Hill with a degree in economics and has spent more than a decade coaching youth sports teams at the YMCA and in Cabarrus County schools. He has volunteered with the Boys & Girls Club, is a member of CVAN’s Men for Change committee. Steve is dancing with LeVannah Forrest, a seasoned dancer who conducts dance workshops for Charlotte-Mecklenburg educators. Billy Sumner comes from a long line of people unknown for dancing, including his distant relative Ben Franklin. 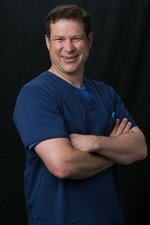 A dermatologist, Billy graduated from Concord High School and Duke University and is married to critical care physician Cheryl Weyers. They have three children in postgraduate school and college. When his children were younger, Billy coached soccer, baseball and basketball for many years with Concord Parks and Recreation Department. These days, he enjoys sailing, hiking and performing in Old Courthouse Theatre productions, where he also serves as a board member. Billy has appeared most recently as Professor Harold Hill in OCT’s the Music Man. Billy is dancing with Edie Barnhardt, who has taught dance in Durham County Schools and at Appalachian State University. Buell Little has a connection to last year’s DFTA contestant, Bill Dusch. He once borrowed Bill’s plane, became lost, encountered two F-16s and eventually landed at a National Guard Air Force Base. And they’re still friends. A Client Services Analyst with Wells Fargo Institutional Retirement and Trust, Buell also spends time volunteering at the local night shelter and Habitat for Humanity. He is a Life Member of the Corporation of the Boys and Girls Club of Cabarrus County, a former deacon and elder of First Presbyterian Church, and a former Concord Jaycee. He credits his mother for his dance moves because she signed him up for ballroom dancing as an elementary school kid. Buell is dancing with Holly Cagle, a seasoned dancer who partnered with 2015 Dancing for the Arts Grand Champion, Mayor Scott Padgett.